Welcome to Betting-Sites.co.uk – a website all about the wonderful world of betting and gambling online. 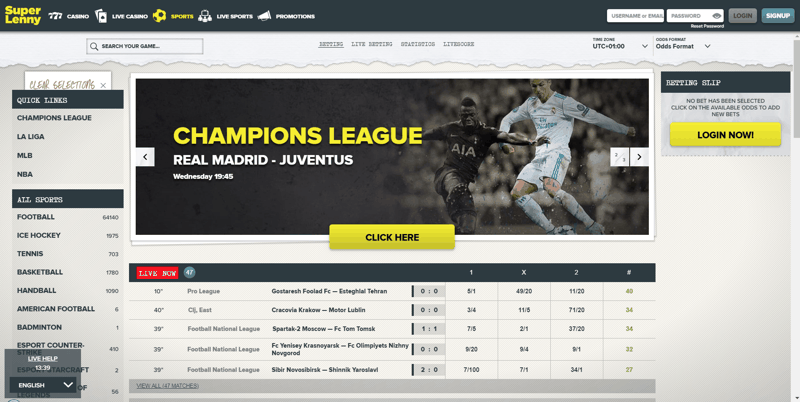 The site features two main sections – one for sports betting and one for casinos. In each section you’ll find reviews of trusted, reputable and recommended places to bet online as well as various guides on how to do it. As the shrewd among you may have already noticed, the information on this site is primarily aimed at a UK audience. That’s not to say that non-UK punters won’t find the information useful (and a lot of it will be exactly the same regardless of your country of residence) but if you’re not a Brit, you may find that some of the offers and bonuses are slightly different to the ones we list here. 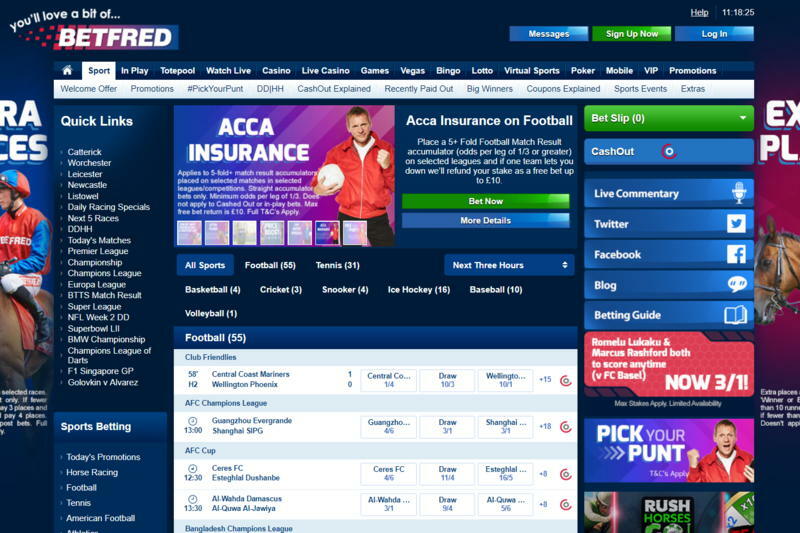 So, without further ado, let’s get stuck straight in with a list of our top 5 favourite online betting sites. We have also written detailed reviews of all of the betting sites featured on our website, you can find links to these in the reviews section of our site. But for those of you want a little bit more information than found in the table above, but not a full review, we’ve compiled the following summaries of our five favourite bookmakers and betting sites. Coral are one of the UK's biggest high street bookmakers. And whilst their high street roots still run very dear to their hearts, they are now a global business with millions of users based around the world. They are probably best known for the huge range of promotions that they provide to both new and existing customers. Offers such as money back promotions, enhanced odds and free bonuses are very common for Coral bettors. The company have worked hard to become an all-round bookmaker and by this we mean that they leave very stones unturned in their mission of becoming one of the biggest and best bookmakers in the industry. Registering an account with Coral will allow you to take advantage of live streaming, live scores, results, statistics, great pricing, massive market depth and an ever increasing sports department that seem to be adding both sports and markets on a weekly basis. Terms and conditions apply (18+). BetVictor have been one of the best bookmakers in the betting industry for more years than we care to remember. The area that’s always been one of the main reasons why so many people use this bookmaker is their odds pricing. In fact, BetVictor have won several awards from within the industry for the pricing, including being voted best priced bookmaker for football bets multiple seasons in a row. Don’t be fooled in thinking that BetVictor are a one trick pony though, because their bookmaker is as comprehensive as you are going to find. They offer up a great range of sports betting markets to choose from and they have one of the simplest welcome offers that we have come across. They also have a super cool looking website making them much more relevant in todays marketplace. 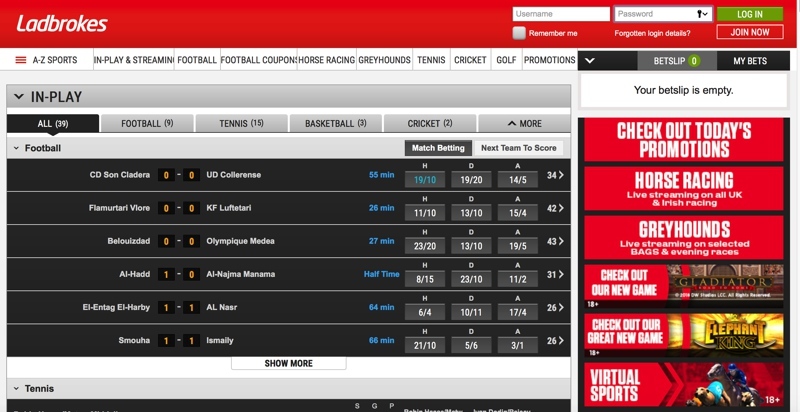 Ladbrokes have to be one of the most well known bookmakers in the world. They’ve been around since 1902 and are widely regarded as the oldest bookmaker still in existence today. 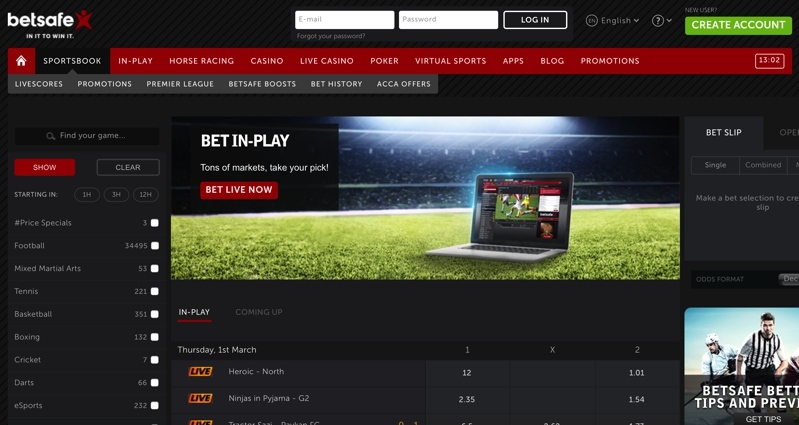 Over the last century or so the company has obviously seen drastic changes, but you have to hand it to Ladbrokes who’ve not only managed to keep up with the times in terms of expansion, but actually set the way for a lot of online bookmakers. It’s hard to nail down one aspect of the bookmaker that is the best as they do pretty much everything to such a high standard. We will point out that their promotions section has seen a massive outhaul in recent years and they accommodate both new and existing players better than most. The site itself has also been freshened up in 2015 making it much more modern and user friendly at the same time. Overall, one of the most rounded bookmakers in the industry! Betfred is one of the last standing ‘traditional’ bookmakers in that they still hold high street betting very dear to their hearts. 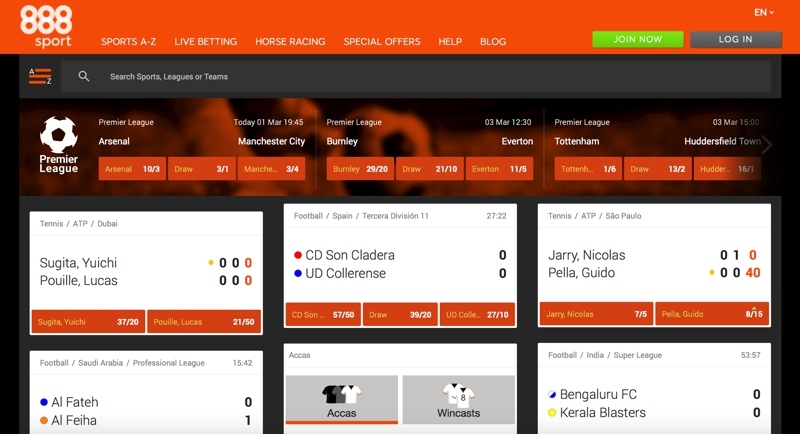 Over the last decade or so the company have had to move with the times and with this has seen a huge online betting portal develop to work alongside their high street brand. It’s probably fair to say that football and horse racing are the two most dominant sports to bet on with Betfred, but then this could be said for any number of bookmakers that are Euro facing. They tend to excel with offering up some unusual, yet highly popular betting markets such as Goals Galore and Double Delight/ Hat trick Heaven, to name but a couple. One of their more recent additions has been that of their live streaming portal and with this you can watch sports including football, tennis, basketball and, of course, racing. 10Bet have been around since 2003 and the company are continuing to make positive steps in the online betting industry. Once you are singed up, the bookmaker wont let you down and we’ve seen it grown exponentially over the last couple of years or so. They provide a ton of sports, but what’s more impressive is that all of these sports are so well catered for in terms of markets. 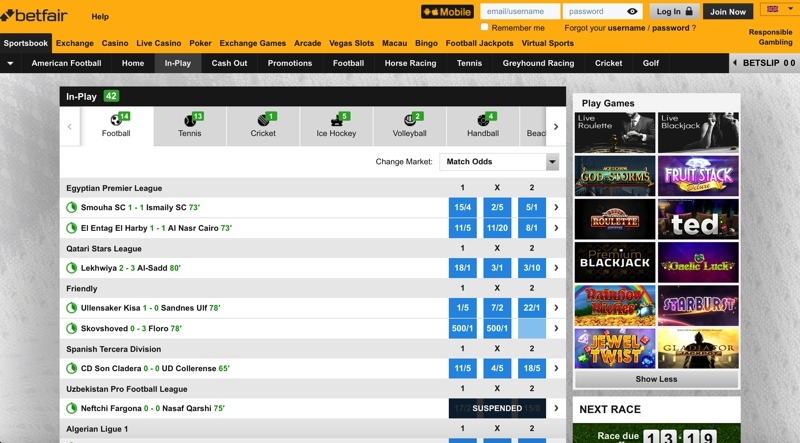 Other notable features at 10Bet include their cash out system, mobile betting app (new design for 2016 improving both looks and usability) and best odds guaranteed on selected horse races from around the UK and Ireland. 32Red is probably better known for its foray into online casino, but fans of the brand will be delighted to hear that they now offer up sports betting options as well. We were delighted to see that the kings of casino bonuses were keen to carry this theme over to the sports betting section with a plethora of different options when you deposit and also numerous promotions that coincide with a number of the major sporting events from around the world. 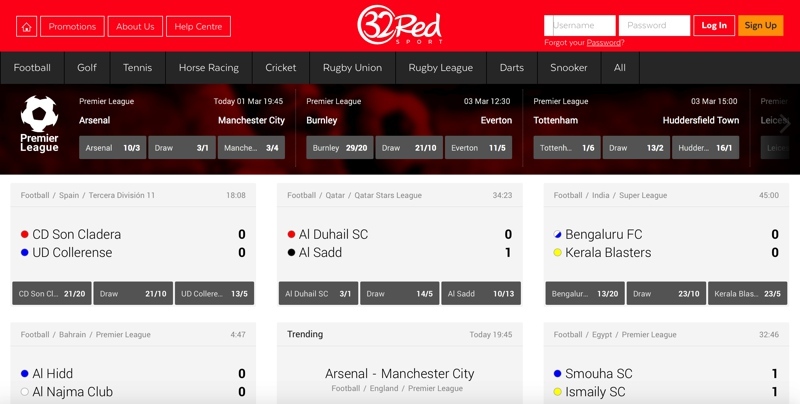 It’s clear that 32Red have put a huge emphasis on their live betting section, which is obviously where they feel the majority of people tend to bet. 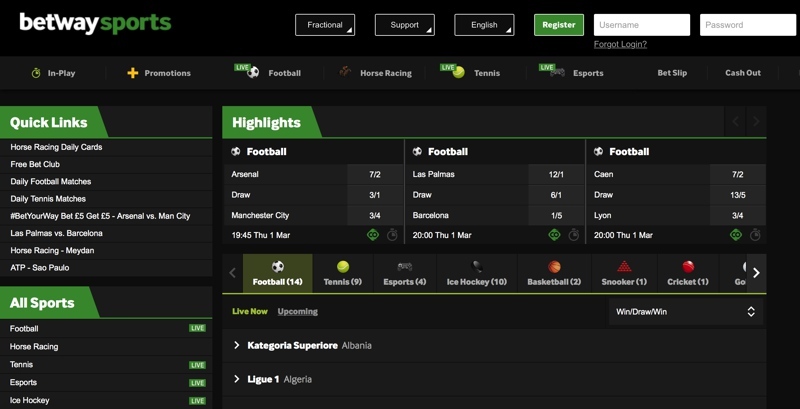 The section includes a massive number of markets throughout, but we really enjoyed to the interactivity of the whole section, allowing you to select preferred markets and list the games that you’ve bet on to see a quick fire overview of each. 888 Sport are quickly becoming the bookmaker of choice for a lot of punters. The brand id probably better known for casino and poker, but their sports has been well established for a number of years now and they have continued to keep it expanding. In fact, we would even go as far as saying that over the last 2 years, no bookmaker has made bigger and more positive strides in the industry, which is high praise indeed! There are two glaringly obvious positives for choosing to bet with 888 Sport. The first is their pricing structure, which is superb! You only need to spend a few minutes on the site to see that they are really, really competitive on a massive number of sports and markets. Betfair are the biggest betting exchange in the world and in 2000 the revolutionised the betting industry by offering a simple option to their punters; the ability to both back and lay any given result, essentially allowing the punter to be their own bookmaker. The Betfair exchange has totally changed how people now approach their bets and it’s meant that punters can be a lot more savvy in terms of what they bet on and the price that’s on offer. These days, Betfair are much more than simply a betting exchange as they offer a huge ‘traditional’ style bookmaker to accompany their betting exchange. Along with this they include live streaming, highly competitive betting odds and tons of offers for both new and existing punters on site. In terms of an all-rounder, few bookmakers can get near the scope of Betfair! 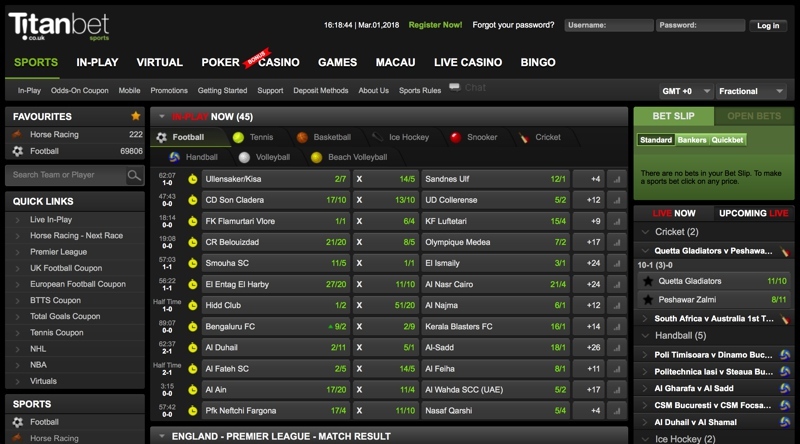 The sportsbook at Betsafe is another that is well in its ascendency, but we would have to highlight that as of yet they aren’t quite as strong as some of their rivals. Having said that, they are a bookmaker that has changed quite dramatically of late and we were pleased to see the range of sports and markets on offer increase. In fact, you can even see how many markets are on offer for each sport in the side bar to get an instant feel of how they will cover the sports that you are looking to target. What Betsafe have done really well straight off the bat is creating a beautifully designed mobile betting app. As we know, mobile betting is certainly nothing new these days, but there are still plenty of pretty lacklustre apps from some much more established bookmakers than Betsafe, so kudos to them! Betway have been a force to be reckoned with since they opened their doors in 2006. But, it could be argued that it’s only been the last couple of years where they have made notable improvements to their online bookmaker, one that we will admit needed making. These days they are as good as any in the industry and you will be spoilt for choice when it comes to sports and markets that are on offer. Rather unsurprisingly, horse racing and football are heavy on the markets they have on offer, but Betway have started to really branch out in other sports to bring them up to scratch. For example, they have recently teamed up with PDC (Professional Darts corporation) to sponsor the Premier League of Darts. Since this came into fruition the number of darts betting markets that have been on offer has grown massively; and it’s not just darts that has seen this increase. We also want to give a notable mention to their statistics and promotions section, both of which are great aspects of the bookmaker. It’s taken a couple of years, but Netbet are starting to make some really positive strides in the betting industry at the minute. They have grown massively over the last 18 months or so and in that time have become a real challenger to some of the bigger names in the industry. 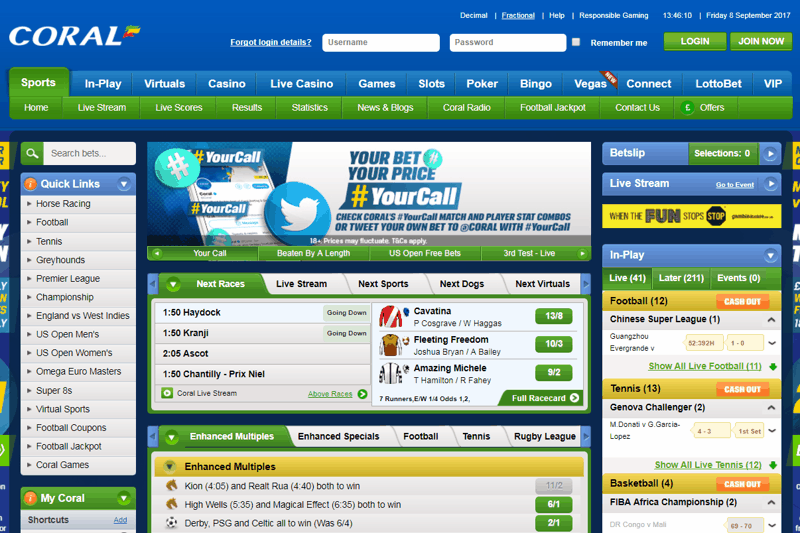 The site includes a good range of both sports and markets, along with a substantial live betting section as well. We were pleased to see features such as cash out, mobile betting and game data all available to their punters, which work well alongside their lucrative welcome offer. Paddy Power are probably Irelands most famous export in the betting industry. The company have taken on a new lease of life over the last 5 years and have seen themselves go from a pretty run of the mill bookmaker to one of the top 5 in the whole industry. The company haven’t forgotten their Irish routes and part of what’s made them so successful is their light-hearted attitude towards betting. Things as simple as their hilarious Twitter account has been the backbone to them really connecting with their punters and now they are very much seen as a bookmaker ‘for the people’, if you will. The companies motto of ‘We hear you’ is another indication that they provide some of the best customer service in the industry, which can be as strong as any number of sports or markets. Titan Bet are another bookmaker who are likely better known for their work in the casino and online poker industry. But, with the success that they have had from these sectors, they have implemented into their sportsbook as they are quickly becoming one of the most exciting sportsbooks in the industry. 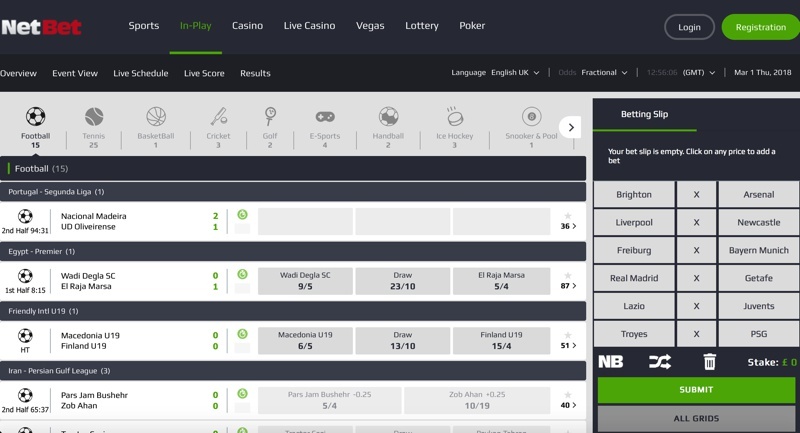 The bookmaker is pretty straightforward in terms of features and whilst they don’t offer anything that is ground breaking to the gambling industry, they do all the basics really, really well. We found that their market coverage was excellent and the range of sports was more than most bettors would ever need. We loved the design of both their online site and their new mobile betting app, which is essential in this day and age. 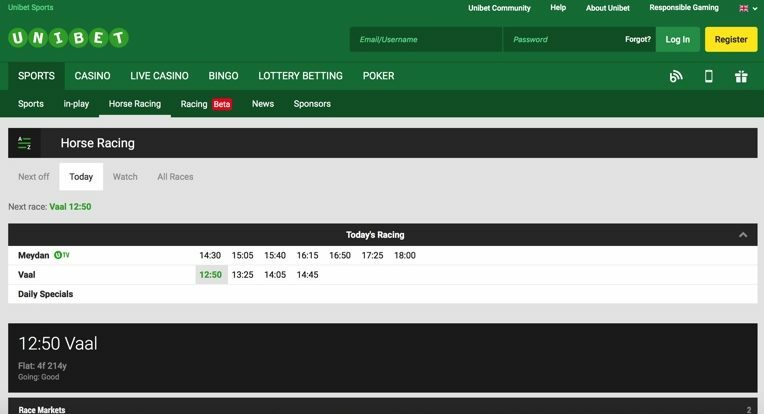 Unibet are another Irish export in the betting industry. Like most from Ireland, whilst they hold their roots very dear to their hearts, they have been one to expand to a much wider global audience and in turn, increase as a business and brand. They are now one of the biggest in the industry with a reported revenue of £357million in 2015 underlining how successful they have become. The backbone to their success, for us at least has come from the bookmaker’s willingness to cater for their punters. One thing that highlights is there is the recent transformation of the site to its new design. They realise that for some it takes time to change from what you are used to, so they have made it very easy to switch between the two different designs if you wish. 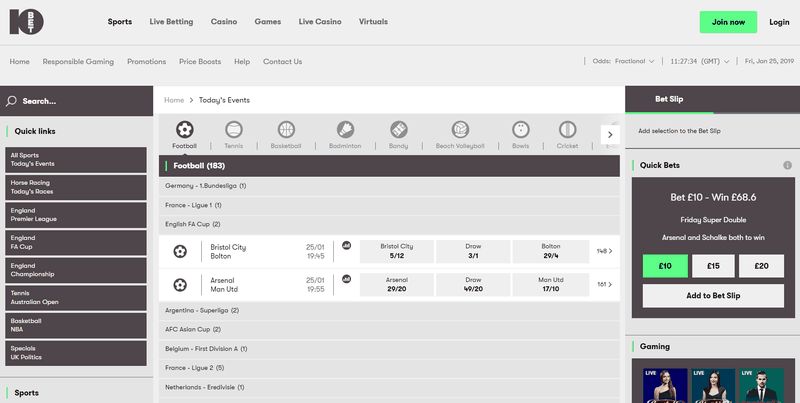 We are aware that this probably won’t mean an awful lot to most betters (design) but, this is a great example of how they work with the punter to provide the best betting experience possible. They tick all the boxes at the minute with great sports coverage, thousands of different betting markets, killer mobile app and a solid live betting section. ComeOn are one of a number of ‘smaller’ brands that are making big strides in the betting industry. They’ve only been around since 2014 but since then have managed to really ruffle some feathers from their competitors, in turn increasing their player database massively. 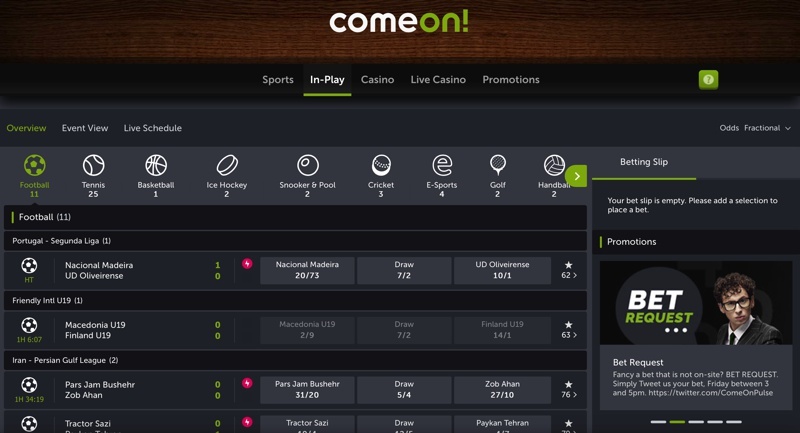 What’s great about ComeOn is the fact that they offer cash out options for their bets. 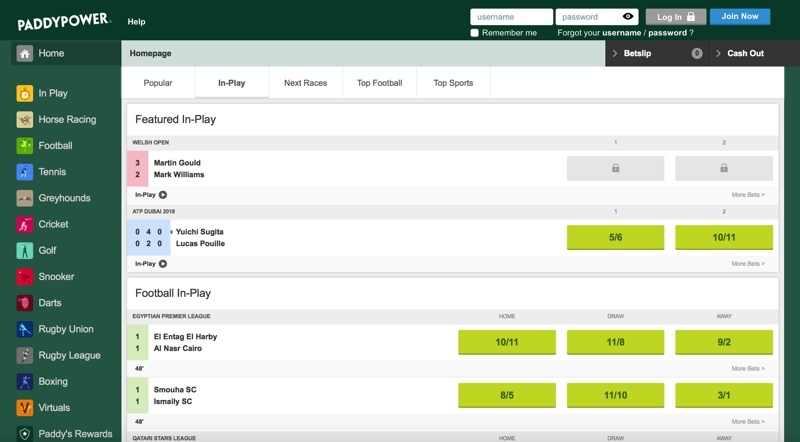 Whilst this feature isn’t exactly new in the industry, there are very few of the newer bookmakers that do provide this service, which is accompanied by their all-new mobile betting app. The site is stocked with sports and markets to bet on and we were particular impressed to see a great coverage of American based sports on offer, including American Football, Baseball, Basketball and Ice Hockey. But, it’s football bettors that will be clambering to get involved with ComeOn as their soccer section is second to none! Superlenny is another of the ‘new breed’ of online bookmakers trying to make their mark in the industry. 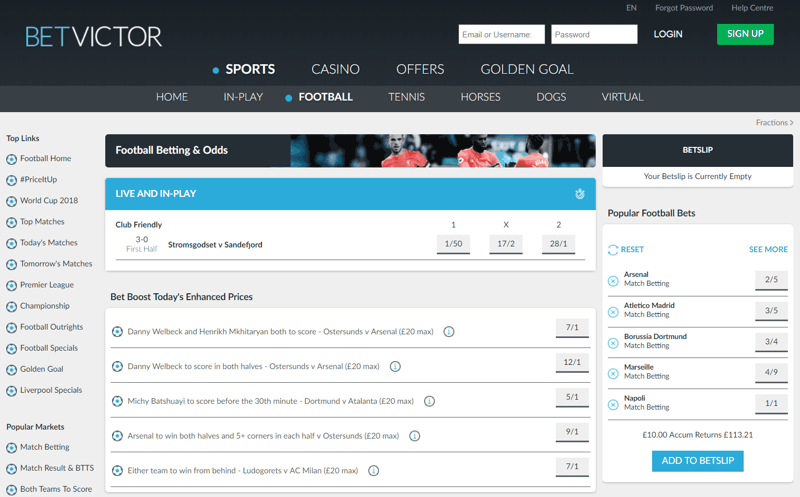 We really liked the fresh approach that the bookmaker has taken with the site, especially in terms of design. The looks and ease of navigation between betting markets is actually one of the best we have come across, leaving some of the bigger brands trailing somewhat. You’re getting a good range of markets and sports to bet on as well, although we will say that the omission of horse racing, especially for Euro focussed bettors, was a little disappointing. That being said, it more than makes up for this in other sports, especially US sports such as American Football, Ice Hockey, Baseball and Basketball, all of which include a huge array of games and markets to bet on. There are plenty of places where you can place a bet on the internet. However, most bookmakers are definitely not equal and there can be dramatic differences between two bookies, even if they look the same on the surface. The most obvious difference that affects where you place your bet are the odds. If one site is offering you 10/1 on Liverpool to win the FA Cup and another is offering you 15/1 for the same bet, then clearly you’re going to want to place it with the second one. Doing anything else would literally be throwing money away. Then there are the less obvious factors to consider, such as the range of markets and events they offer. If you just want to place a couple of bets on the match odds market of Saturday’s Premier League games, then you may not even notice the difference. But if you want to bet on matches involving smaller leagues or more exotic bets, then all of a sudden it starts to matter. For example, most betting sites offer scorecast bets on big football matches. But what if instead of betting on the first goalscorer and correct score, you want to bet on the match result. This is known as a Wincast and is much less common. In fact, we can count on one hand the number of bookies who offer it on a regular basis. Some bookies will even let you go ‘off menu’ and offer special odds on request on things they don’t normally cover. So if you want to place a bet that your son will one day play for England, then find yourself a good bookie and you may be able to do just that. So far, we’ve only talked about football – seeing as it’s the most bet on sport in the UK, that shouldn’t be suprising. But when it comes to other sports you really start to see differences in the bookies offers. Even big sports such as horse racing (the #2 in terms of betting turnover in the UK) get wildly different coverage – with some sites not offer markets on it at all! Introductory offers are one of the key ways in which sports betting sites encourage new customers to sign up and bet with them. They’ve been around pretty much as long as betting has been online, although the way in which they’re offered has changed many times throughout the years. At first offers were simple matched bets – so bet £25 and you’ll get £25 free. But then as more betting sites went online and competition increased, the bookies have had to continuously up their game to get noticed, with free bets worth three or four times your qualifying bet not uncommon. We’ll delve a bit deeper into how it all works later in the article, but first we’ll head straight to the good stuff – the offers. Hold up a minute, you might be thinking. Why is it only the new customers who get the bonuses? After all, once you’ve been around the houses and claimed with every bookie, you’ll be left with no one to sign up with and no new offers. If that sounds like something you’ve said, then you’re right – the very best betting offers are reserved for new customers. The reason for this is quite simple, they’re often offered at a loss to the bookie to get new blood to their site. And if they offered that level of promotion to everyone every day of the week they would go bust pretty quickly. But that doesn’t mean that once you’ve signed up there’s nothing more for you to claim. In fact many sites run regular reload bonuses or free bets on a very predictable schedule. In addition to free bets, there’s also a huge wealth of money back and enhanced odds promotions which you can take advantage of no matter how long you’ve held an account with a bookie. But we’ll get to those in the next section. In our blog we expert provide tips, analysis and previews of upcoming matches and tournaments – including pieces on football, golf, darts, cricket and much more. In fact, if you can bet on it, we’ll write about it. We’ve now moved the blog to it’s new home, but you can see a list of historical posts in our blog archive.